Two months ago I hadn't heard about this german band with the catchy name Shamall. Today I ordered my 8th Shamall album and what a sad moment it turned out to be that since 1986 This group exists and I had never heard a note of them. Norbert Krueler (Project leader and Production & Mixing Wizard) not only played on it, wrote it, produced & mixed it, he recorded it at his own Studio in Germany. And now it's in my current top 10. The musical style of Shamall changed different times over the years. Shamall growed over the years from starting as a spacey electronic music project in the mid 80's, evolving to a band who is able to create tons of ambient dreamscapes and intense psychedelic rock, often with a progressive feel and floydish atmospheres,. By the way, it takes courage and conviction for an artist to try new ideas at the risk of losing his initial audience. Today I listen to their current release "Turn Off", scrub that, I experienced it: A sonic marvel !!!. There is a bit of all phases of Shamall's musical evolution on this new Double-CD as well. A prevailing mixture of neo-progressive rock and electronic prog enriched with sad lyrical themes guarantee an exciting journey. This music is an overall haunting work. This performance is not made for the quick dollar. - it's only to done to space out. !! Songs like "The Creeping Dead", "Shine A Light" or "Horrible Nightmare" are only a few examples for the diversity of this release. "Shout It Out" put an electronic/progressive emphasis on rock elements. Very well done !! "Voices part I" and "Voices part II" are an epic great experience on multiple levels, sounding always interesting and challenging at the same time. In a similar vein "Playing for the Ashes" continues a long line of instrumental tracks, borrowing from the electronic music side of Shamall. In this case using the silky synthesizer sounds of the Bob Moog era.. The synthesizer solo sounds of this part remind me of Manfred Mann's Earthband or Camel at their highest level. The more extended songs like "Companion of Fortune" and "Never Before" are variations on a theme, so to say based all the way back to the whole "Turn Off" topic. These songs are more structured but still give the feel of earlier, loosely constructed music. "Turn Off" is an excellent album that shows maturity, diversity and progression in a band that sometimes prefers not being considered progressive. It is sad that some listeners get fixated on conventions of certain music genres or specific areas from previous artist's albums expecting them to infinitely repeat the past while complaining that more conventional music is horrible because it's the same recycled garbage. These same listeners equate accessibility with bad music. 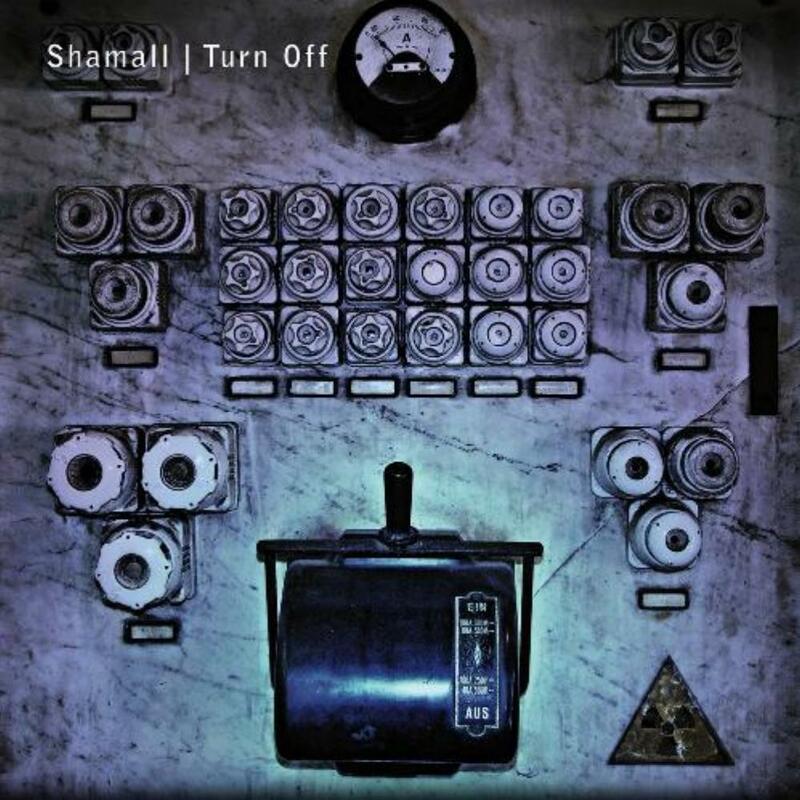 For my personal taste any Shamall album has great moments, you really can't go wrong from "The Book Genesis" onward to "Turn Off". Even though Shamall sounds very different in comparison to other bands. There is an essence of their own unique style on every album, no matter how loosely played or tightly constructed. It should also be noted that every album Shamall has released, has presented major changes and leaps in sonic, compositional and songwriting quality. On the new album Shamall enriched the music with a most impressive female singer. The whole production itself is brilliant, energetic and forceful. The artwork is sophisticated designed and convenient to the overall theme of "Turn Off". Take time to enjoy this treasure. It's far away from being a kind of a cookie cutter "product"